Danielle grew up in Northern Virginia and started playing softball at a young age and fell in love with it. She played travel and high school ball in Northern Virginia and mainly played catcher and 3rd base. Danielle attended Salisbury University but after her freshman year her career ended due to injuries. Danielle graduated from Salisbury University in 2005 with a B.S. in Biology. After graduating college, Danielle began coaching and has been coaching travel ball since. A couple of years after graduating college, Danielle returned to school at Shenandoah University and got her doctorate in physical therapy. The first time I head Denny speak it just all made sense and I was hooked. After that I spent quite a bit of time around pitchers who had switched to the fluid dynamics approach and just saw a huge transformation in them. But the thing that drew me the most, is how much Tincher Pitching focuses on injury prevention and putting in the research to go along with it, no one else pays any attention to the negative effects on the body. I am so excited to be a part of this group. Here is what Denny says about Danielle: Danielle grew up in Northern Virginia and started playing softball at a young age and fell in love with it. She played travel and high school ball in Northern Virginia and mainly played catcher and 3rd base. Danielle attended Salisbury University but after her freshman year her career ended due to injuries. Danielle graduated from Salisbury University in 2005 with a B.S. in Biology. 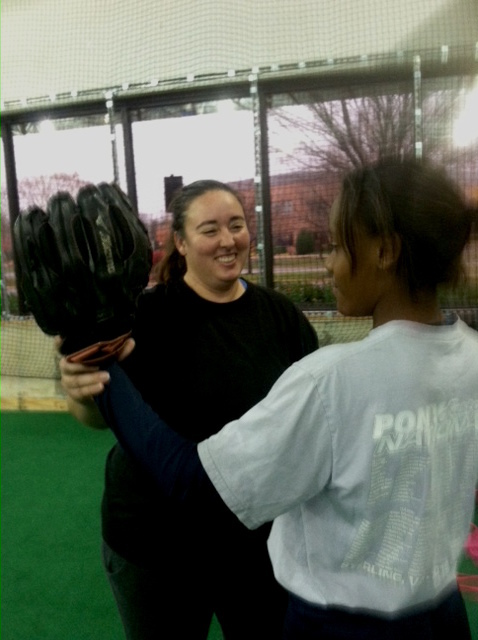 After graduating college Danielle began coaching and has been coaching travel ball since. A couple of years after graduating college, Danielle returned to school at Shenandoah University and got her doctorate in physical therapy.